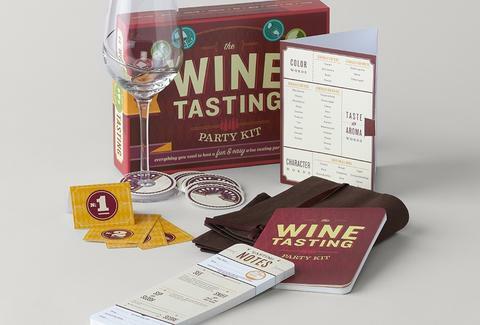 For around $25 you can set her up with a home vino throwdown, thanks to wine glass markers that help guests remember which pour is theirs, cloth bottle covers for blind tastings, an illustrated booklet dishing "ins and outs" such as which varietals're best to drink first, plus score pads, which your home should become after all this wine, right? RIGHT?! ?